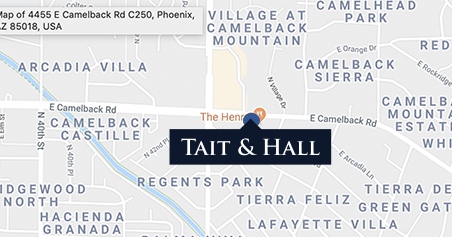 Tait & Hall is a full service law firm offering aggressive, effective representation for residents throughout Arizona. Finding yourself in a legal battle can be stressful, overwhelming and frightening. With over 25 years of experience, the attorneys at Tait & Hall have a record of legal victories that is unsurpassed. Contact us today to find out how we can fight for you, defend your legal rights and restore your peace of mind.